Happy new week to everyone. I hope we had a blast weekend?? 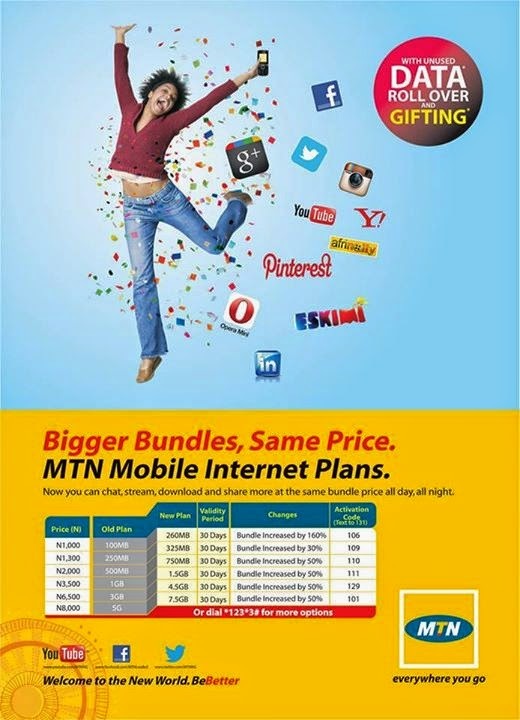 well MTN Nigeria decided to increase their data bundles a bit with same old price. So i decided to inform those who still buy MTN data bundle..lol. Below is a picture of their new plans. But come to think of it, is anyone still buying MTN data plan, when we have unlimited browsing available for Android and PC?? Currently it seem like Wordpress is the best blogging platform out there right now. (from what I've read) Is that what you'reusing on your blog? Thnks for bringing this to us.